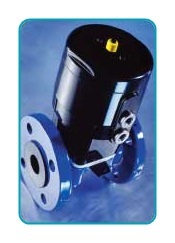 the Saunders® diaphragm valve. Part of Crane ChemPharma Flow Solutions, Saunders® has a global manufacturing and sales organization with worldwide presence via dedicated sales companies and distribution partners. Extended life, reliability, safety and ease of use, combined with an essentially simply design, result in low maintenance for minimal running costs. When subjected to both pressure and vacuum, Saunders® diaphragm valves operate and close 100% leaktight. This feature reduces processing and handling costs by cutting out the waste normally associated with conventional valve designs.